“We were sensitive to the prominence of the home as part of the viewshed that people experience as they drive along Wemrock Road, and felt that designing a home to replicate the old home would be a treasure for generations to enjoy,” said Roger Mumford, President of Roger Mumford Homes. 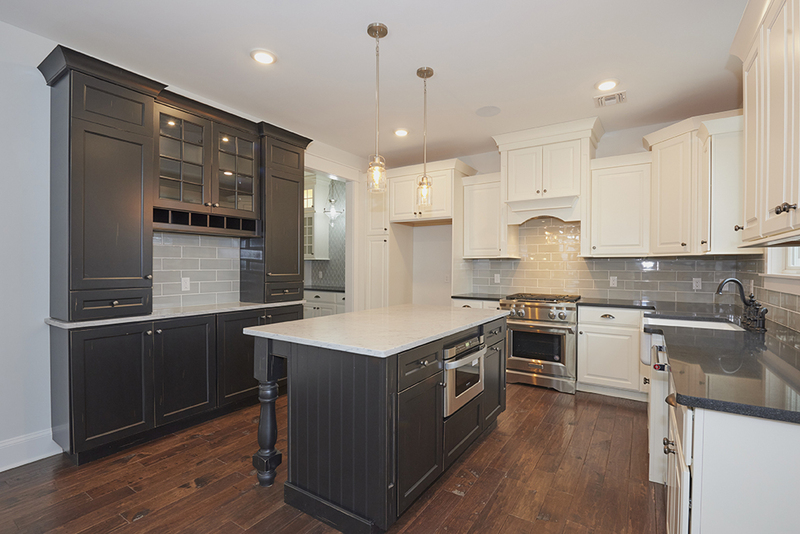 Nestled among spectacular heritage trees on Gulley and Wemrock Roads in Freehold Township, a brand new “replica” colonial home celebrates Monmouth County’s historic past. Built by Roger Mumford Homes, this highly anticipated new home incorporates the interior design and detail for which the company is known. Developed on land that was once part of the Crossroads of the Revolution in Western Monmouth County, the new home sits less than one mile from where the Battle of Monmouth (1778) was fought. 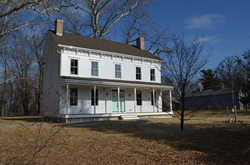 Upon initial evaluation of the farm for development potential, Roger Mumford Homes recognized that the highly visible landmark was part of the fabric of the area and concluded that a plan to recreate the dilapidated farmhouse, once known as the Boude house (circa 1860), as part of a cluster development was preferable to replacing it with a contemporary home. Today, a brand-new replica of the original home sits on three acres of property and is available for immediate move-in for $799,900. of its excellence in design and detail, reinforcing its brand and reputation. To learn more, please visit http://www.RogerMumfordHomes.com or call 732.842.1580. 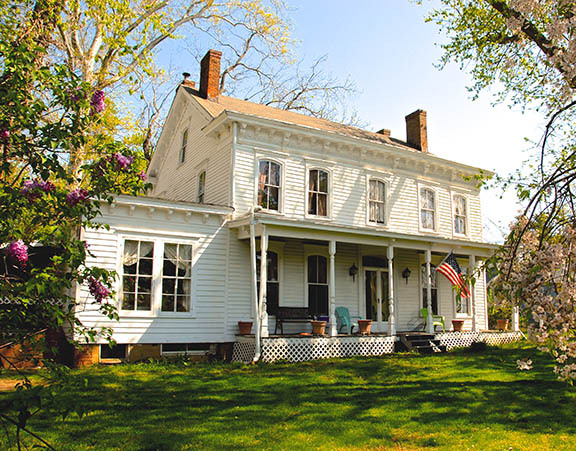 The original 19th Century Farmhouse before its recreation by Roger Mumford Homes. The interior of the new 19th Century Farmhouse, recreated by Roger Mumford Homes. 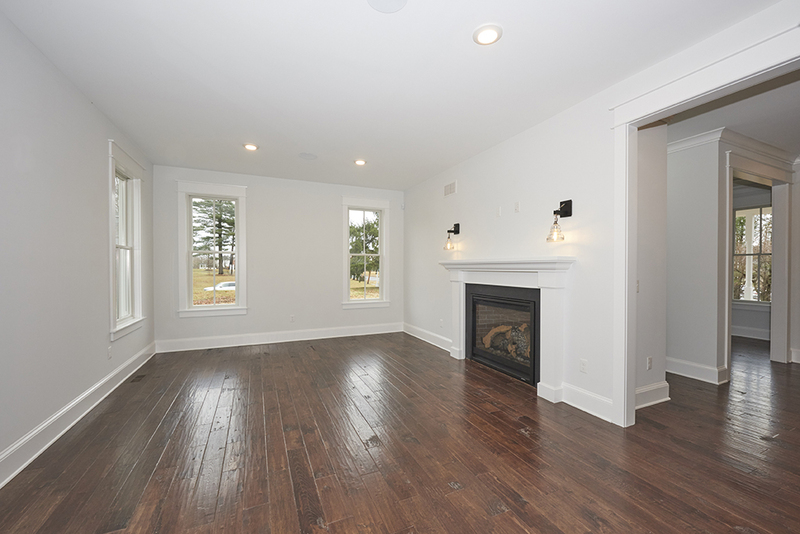 The interior of the new 19th Century Farmhouse, recreated by Roger Mumford Homes.